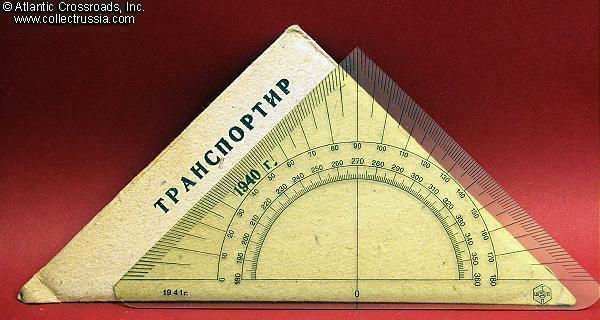 Military issue protractor, dated 1941. 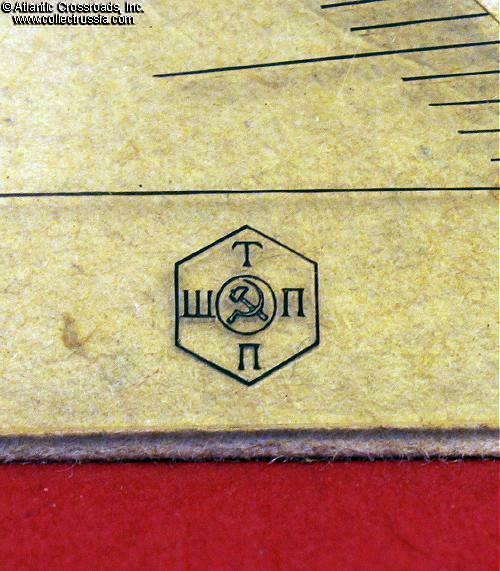 Made in clear plastic, comes in original paper envelope. 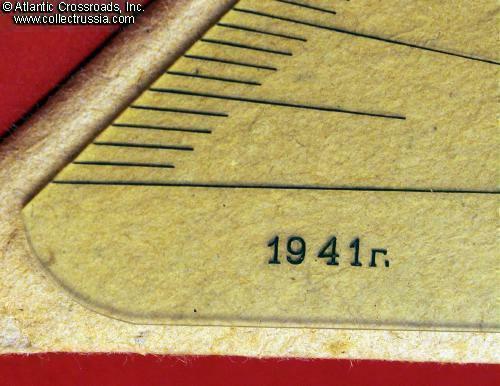 Note that the date of manufacture stamped on plastic is 1941 while the year printed on the envelope is 1940. 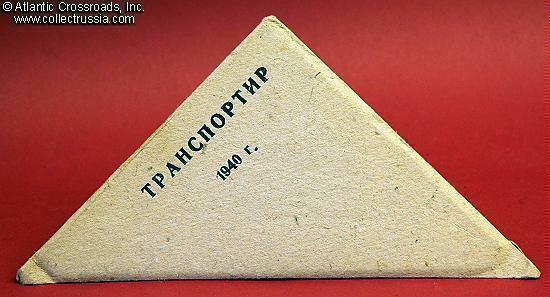 Probably the factory continued to use the 1940 envelopes well into the 1941 production year. Excellent condition. 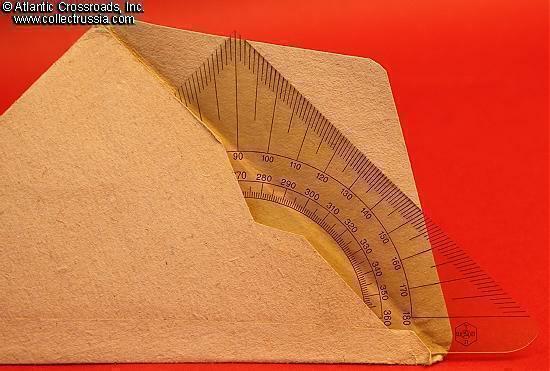 The protractor is mint and unissued while the envelope shows only minimal wear from its seventy years in storage.